Time Warner Cable and Verizon FiOS have announced plans to drop low-rated independently-owned cable programming services as a means of cutting costs (Los Angeles Times article on these plans). This is a departure from the usual course of business. Typically it is difficult to get launched on a cable system, but once a service is on it is usually on for good. Why is this changing now? For the distributor, there are two reasons for the change. First, these channels charge license fees. While the license fees for independent channels are typically modest compared to the big programming services, money is money. If few are watching the channel, even modest fees might represent a poor programming value. Second, is that these channels take up "bandwidth" -- space in the cable "pipe". To the extent a poorly viewed channel is carried, there may not be room for something with more popular appeal (e.g., a HD version of a channel that is only carried in SD, a new foreign language service). 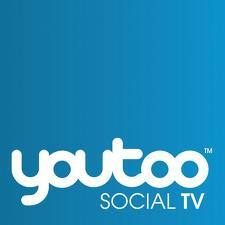 FiOS TV has put Youtoo, Blackbelt TV. Blue Highways and Mav TV on the chopping block. 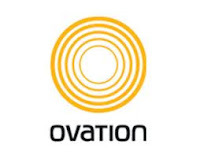 Time Warner Cable has the arts service Ovation in its cross-hairs, as part of its new approach of offering services the choice of carriage with no license fees or no carriage at all (article in the New York Post). Youtoo is a "social TV" service launched in September 2011, built on the distribution of a service which targeted older viewers (which went through several names over time, most recently AmericanLife, GoodLife, and, originally, Nostalgia). Blackbelt TV is focused on martial arts. Blue Highway TV has programming of interest to rural viewers and those who like American roots music. Mav TV has programming focused on young men (imagine if Maxim magazine had a channel, no shortage of attractive women in bikinis). 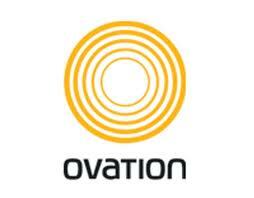 Ovation is a service with arts-oriented programming (similar to what Bravo once was and what A&E was a long time before that) along with somewhat arty movies and off-network series. Note that none of these services are owned by one of the major programming companies (Disney/ESPN, Comcast/NBCU, Fox, CBS/Showtime, Time Warner, Discovery Communications, Viacom, A+E Networks, Scripps Networks, Univision and AMC Networks). Almost all of these companies have low-rated networks, but those services aren't candidates to be dropped, because they are bundled together with "must have" channels. The second implication is for the major programmers: this is a good time to get a deal on an independent service with good programming that now looks to be facing a tougher road ahead. For the distributors, one result of making the road for independent channels more difficult is that instead of creating a more competitive marketplace for programming, with more suppliers, the distributors will end up with a less competitive one. However, in fairness, it has been a long time since a new programming company actually made a difference to the competitive environment. To a large extent, it is the nature of the programming business, it is pretty difficult to substitute one supplier of programming for another, the appeal of each is specific, even within a genre. Who would buy such a channel? Of course it needs to be an owner that can solve the problem the channel faces -- being dropped. In other words, a strategic buyer, rather than a financial one. That means one of the existing programming companies (all but Univision have a history of swallowing up formerly independent channels and/or smaller programmers -- that's much of how they became giants). The other set of strategic buyers are major distributors themselves, since they can assure distribution on their own systems and often, through other dealings with other distributors, logroll their channels onto other key distributors. While many channels have found a new, more prosperous life under a new owner (e.g., Food under Scripps, Family under ABC, Oxygen under NBCU), some independent channels just don't make it. The slighly new-agey Wisdom Channel became Lime TV, but then got out of the cable programming business. Mind Extension University became Knowledge TV before it was shut down. Comcast bought the failing Tech TV to merge it with G4 (which is reportedly about to be rebranded with the Esquire name). NBC shut down Trio, which began life as a US programming service from the Canadian Broadcasting Company. Sometimes the programming concept is simply not popular enough to justify its position on the dial. With decent distribution agreements but unpopular programming, usually the channel will be rebranded (America's Talking morphed into MSNBC, Discovery Health into the Oprah Winfrey Network). However, sometimes the underlying business arrangements -- in essence, the channel's affiliation agreements with distributors -- are an impediment to success (e.g., the license fees are too low, the carriage is not sufficiently secure). In that case, a new service is better to start fresh than try to build off an unsatisfactory foundation. Sometimes a drop is a temporary measure (USA, AMC and Lifetime have all been dropped and managed to prosper); sometimes it is the start of a death spiral. We'll see how it works out for these five. For a terrestrial distributor (i.e., cable and telco, but not DBS) the need to save bandwidth is probably a short-term issue. The conversion of their plant to IPTV should make this bandwidth constraints for cable channels a thing of the past. (In contrast to a typical cable system where all channels are delivered to all households at all times, in an IPTV system, channels are delivered only to the households that are tuned to them -- the bottleneck is the number of channels that can go into the home simultaneously.) The conversion to IPTV has already taken place in many systems for VOD content and its time for linear channels is here already on some systems and on the horizon for most others). The need to save money is likely the driving factor here. As noted before, the amounts are modest. So why do the distributors bother picking on the dwarves of the cable lineup? Well, you have to start somewhere. It is impossible to take off the low-rated channels from the big programmers if you haven't taken off the low-rated independents (to prove that it is your strategy, not just a negotiating threat). Another factor is that the cable environment that led to the launch of these channels has changed. Before DVRs and VOD, to get more programming choices onto a system, the distributor needed to add more channels. Adding channels was easy to explain to customers and was valued by them. Cable operators added channels at the time of a rate increase, "a spoonful of sugar" in the words of Mary Poppins. When the lineup was going from 20 channels to 100 channels and the new additions were the Food Network, Syfy (then Sci-Fi) and TV Land that was a solid strategy. The returns start diminishing going from 100 channels to 250. The new niches are pretty small (e.g., The Cooking Channel, FearNet, Boomerang) and many consumers probably don't notice or value the additional services -- there are already more channels on the dial than channels whose names they recognize. Perhaps more importantly, consumer choice has expanded beyond more live channels. If the DVR had been invented a decade earlier, we probably never would have had quite as many channels launching in the first place, consumers would have been better able to utilize their existing array of programming or channels. Of course, this is exactly what consumers are doing -- getting more value out of their favorite channels, they have less need for their secondary choices. VOD has had a similar impact, particularly for the premium channels like HBO and Showtime. One might assume that the response by the programmers to this approach by the distributors would be to shut down their smaller services, but that's not what I foresee happening. The secondary services provide value to the programmer via advertising and typically cost little to run (The Cooking Channel uses the Food Network's old library, as Boomerang does that of Cartoon Network). The strategy for the programmer might be to bundle the channels even more aggressively. The primary channels will get bigger rate increases (since they "can't" be dropped). The secondary channels can have no license fee at all, particularly if it is offered on a highly penetrated tier (which it now can be since it no longer costs the distributor extra to carry it broadly). This schema works fine, if there is a primary channel, but that's not the case for a lot of these independents. Aereo announced today that it has added its first non-broadcast television service, Bloomberg TV, to its multichannel service. This marks an evolution in the Aereo service and a step towards, possibly, becoming a larger competitor to a traditional multichannel subscription from a cable, DBS or telco provider. For Bloomberg, the attraction of affiliating with Aereo is clear. In a traditional multichannel package, its placement is typically less favorable than Comcast/NBCU's CNBC, the category leader, and, sometimes less favorable than the third entrant, Fox Business. Bloomberg is not only the only business news service on this platform, it is the only 24-hour news service. Bloomberg's carriage vis a vis CNBC is the subject of a continuing dispute with Comcast. New York is Aereo's only current TV market and Bloomberg's most important one. While Aereo likely has a modest number of subscribers, you can be certain that its choices are watched closely by the incumbents with which it competes. Bloomberg is already streamed free on the web at http://www.bloomberg.com/tv/; the service has been available over-the-top for a long time. Few other cable services are. Bloomberg is sold a la carte by at least one distributor, Dish Network. Few other cable services are. Cable programming represents a very small portion of Bloomberg Media. 85% of its revenue comes from the rental of Bloomberg information "terminals" to financial professionals. 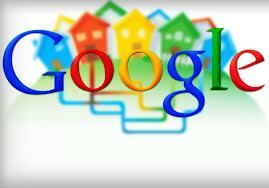 The company has annual revenues of about $8 billion. Bloomberg has only one US TV programming service; all the major US programmers operate multiple networks. SNL Kagan estimates Bloomberg TV's 2012 license fee revenue at less than $60 million. The channel draws several times that in advertising, far from the more typical 50/50 license fee/advertising revenue split for a cable network. Most importantly, Bloomberg is not involved in broadcast television (like Disney, Comcast/NBCU, CBS, Fox or Univision), so it is not currently being sued by Aereo. The biggest question now is whether any of the more typical cable programmers will follow Bloomberg onto Aereo. Netflix announced today on its blog that it will begin monthly rankings of the ISPs who deliver its content to end users. In its first report, new provider Google Fiber, available only in parts of Kansas City right now, topped the charts with a less-than-blistering 2.55 Mbps average speed. All the cable and telco MSOs Netflix-reported speeds are way below the typically quoted speeds they offer. This is likely a result several factors all related to the fact that it the speed at which content makes it from a server to an end-user is a lot different from the speed at which data travels from the ISP to the end-user's modem. Content can be bogged-down by connections from Netflix to the ISP itself, competition from other content sharing the ISPs connection to your neighborhood, competition from other other content coming down the user's own connection at the same time and on the wifi link within the consumer's home. Also, most ISPs offer multiple tiers of service (my ISP, Time Warner Cable, offers five different tiers of service $85/month for 50 Mbps Ultimate to $20 for 3 Mbps Basic); Verizon wireless offers 4G LTE in some areas, only 3G in others), but Netflix has averaged them all together here. Google Fiber is the fastest provider, but per Netflix it isn't that much faster than the top performing cable and telco competitors. Google Fiber scores 16% better than Verizon's FiOS (2.19) and 24% better than Suddenlink (2.06), the laggard of that group; 20% or so is a significant difference, but not nearly 100 times faster that Google Fiber was supposed to represent. Perhaps a lot of the early customers for Google Fiber are selecting the "free" 5 Mbps service instead of the $70/month gigabit (1000Mbps) service. Alternately, if the difference between today's Google Fiber and today's cable is only 20%, that's probably a gap the cable guys can meet by methods other than running fiber to the home. DSL is significantly slower than cable and, on average, traditional mobile is slower still. Clearwire looks like the equivalent of poor DSL by this measure. I look forward to an interesting report card on ISPs every month. Information is power and facts futher the discussion. Kudos to Netflix in putting this out. 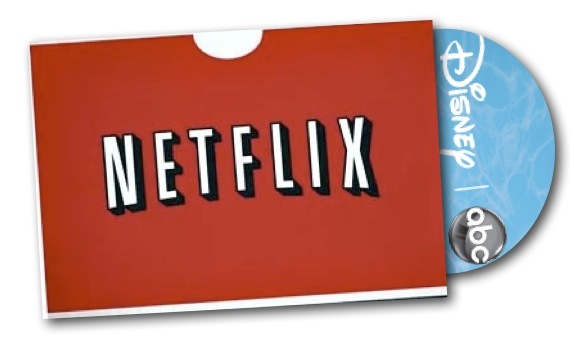 Disney has chosen to sell its movies for the pay TV window to Netflix. Netflix, in effect, replaces Starz, Disney's output home since 1994. While some have described this as a watershed moment for over-the-top or a "game changer", it seems far simpler -- a seller of a product, unhappy with the prices offered by its current buyer, seeks a new buyer. In 2008, instead of accepting the output terms offered by Showtime, Lion's Gate, Paramount and MGM formed Epix. Epix hasn't been a huge hit with traditional pay TV operators, but had turned a profit on the basis of deals with Netflix and Amazon. Looking at the dynamic from the other side, why didn't Starz and Showtime pay up to renew these pay TV window theatrical output deals? The short answer is that they see a better return on investments in original programming. Showtime gets a lot more bang from creating a series like Homeland or Dexter or Californication than it gets from airing The Dictator after it is available in theatres, airlines, Blu-Rays, DVDs, iTunes and pay-per-view/on demand. Theatrical movies have value -- subscribers to premium networks watch them and like them -- but theatricals don't build a premium network's brand. The Disney studio really couldn't care less about Starz except as a source of revenue. After all, in 1994 Disney rejected the more established premium service Showtime to go with Starz, which was the upstart premium service from the company then known as Encore, after its second-run movie service. It appears that Disney takes little risk in leaving the traditional premium TV buyers. If Disney's movies on Netflix are thinly viewed, that information won't be public and to the extent the movies are not watched that much, presumably they would have more value for Disney's other buyers. If a content provider like the NFL took a package of games to Netflix, if the games were unsuccessful and thinly viewed on the new platform, it could damage the value of the NFL brand when the league returned to its traditional buyers (the networks and the advertisers); at a minimum, it would be in a poorer bargaining position. Major League Baseball experienced this with the ill-fated The Baseball Network. Disney has some special value to Netflix versus its value to Starz. Netflix gets more value out of children's library programming than a cable premium service does (in fact, Starz might not have had such rights from Disney and Starz faces an increasingly crowded cable TV shelf which often also offers the subscription video on demand service Disney Family Movies). For Netflix the deal has obvious benefits. This Disney deal replaces much of the high value content that Netflix was getting from Disney via Netflix's since expired Starz deal. Losing the Starz brand means little in Netflix's environment -- where the title of the movie is the brand in the mind of the consumer and the only prominent exception to that is when Disney or Disney-owned Pixar's name is attached to a movie for children. If this deal is a game changer, it is hard to see what has materially changed from the perspective of Netflix subscribers. The change, if anything, is to the mindset of the movie studios -- there's another way to play the pay TV window. Going direct to a distributor to end-users like Netflix also allows Disney a more direct path to negotiate how its content is displayed to end users. Disney was not happy when Starz did a year-long "free preview" with Dish Network. So, what's not to like if you are Netflix? Potentially, the price. More than one analyst has looked at Netflix's content payment obligations and not liked what he has seen. Netflix may need to continue very strong subscriber growth to makes this and its other expensive content deals pay off for its investors. Updated (6 December 2012): Ted Sarandos, Netflix's Chief Content Officer said yesterday that he has no intention of releasing any numbers for the viewing of Netflix's original shows. "It's really an irrelevant number" for a subscription service. It's a slightly different context, but it is consistent with the "no publicity" benefit of the deal to Disney. Note the argument that subscription services don't care about ratings, they care about satisfaction, is an old one -- originally cable TV operators and programmers identified it as a reason that they would triumph over broadcasters. The Problem with "Just Drop the Channels"
Glenn Britt, the CEO of Time Warner Cable, announced his strategy to deal with rising programming costs at the UBS conference on Monday -- simply drop the poorly viewed channels. The fact is that the vast majority of the cable operator's programming dollars are going to a handful, or so, of major programming companies which bundle their channels together in one form or another. CNBC is an interesting, relatively thinly-viewed niche service (how many outside of the 1% are interested in financial news?). However, if Time Warner Cable were to drop CNBC over its costs, it might have a "challenge" getting a favorable renewal on the other channels in the NBC Universal portfolio (to name a few: USA, Syfy, E!, Bravo, Oxygen, Style, NBC Sports Network, The Weather Channel, Golf and regional sports networks in Chicago, New England, Philadelphia and the Bay Area and the NBC and Telemundo affiliates in New York, Los Angeles, Chicago and a handful of other major markets). ESPN Classic is an interesting, relatively thinly-viewed niche service (how many outside of serious, older sports fans are interested in replays of events?). 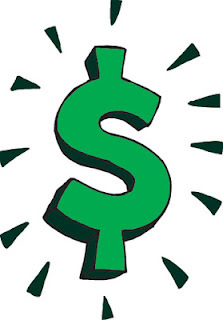 However, if Time Warner Cable were to drop ESPN Classic over its costs, it might have a "challenge" getting a favorable renewal on the other channels in the ESPN/Disney portfolio (to name a few: Disney Channel, ESPN, ABC Family, ESPN2, Disney XD, Disney Jr., ESPN U, ESPN News and the ABC affiliates in New York, Los Angeles, Chicago and a handful of other major markets). Fox Soccer Channel is an interesting, relatively thinly-viewed niche service (how many soccer fans are there in the US?). However, if Time Warner Cable were to drop Fox Soccer Channel over its costs, it might have a "challenge" getting a favorable renewal on the other channels in the Fox portfolio (to name a few: Fox News, FX, and regional sports networks in Los Angeles, Detroit and Houston and the Fox affiliates in New York, Los Angeles and Chicago and a few handfuls of other markets). The other major cable programming companies account for almost all of the rest of the license fees paid by cable operators. Which channels are not part of the major programming companies: Starz, Hallmark, Bloomberg, NFL Network, MLB Network, Tennis Channel, and it moves down from there. The sad fact for Time Warner Cable is that there is precious little programming expense with the independent channels that can be dropped without having an impact on the deal for another channel, a fact of which I am 100% certain he is aware. I should note that Time Warner Cable recently agreed to a deal to carry the NFL Network, so clearly that's not (a) part of the problem that Glenn Britt is describing or (b) leaving TWC anytime soon. The ecosystem of programming is paid for by fees paid by the distributor (what the cable networks call license fees) and fees paid by advertisers (advertising, naturally). It seems only logical that the way for the distributors to pay less for programming is if they can help the networks get more money from advertisers. The usual way this is done is by getting a break on the license fee for one channel by agreeing to a broad roll out a new service, but there are other possible options as well (involving shifts of advertising inventory, use of dynamic ad insertion). Time Warner CEO Jeff Bewkes (Glenn Britt's former boss when TWC was a subsidiary of Time Warner Inc.) noted later at the same conference, the pay-TV system is robust and can take the price hikes: "Other than the concentrated viewing and cost of sports, the rest of the bundle is a better value than ever." The programmers's proposed solution is to raise license fees and add value to the subscription via TV Everywhere. There is a logic to that approach and it is consistent with the higher-fees-more-value history of cable programming. Until the system breaks -- material declines in multichannel penetration would be a symptom -- it is hard to imagine the managers changing the playbook. The lingering question to me is why was Glenn Britt staking out this public position? a PR salvo to lay some groundwork for future short-term channel drops during heated negotiations? a cry to regulators to get involved?